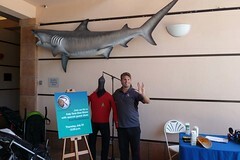 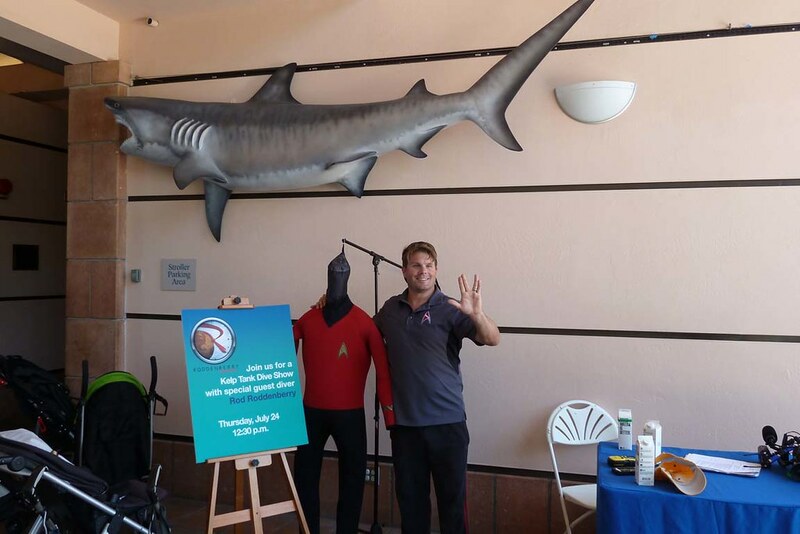 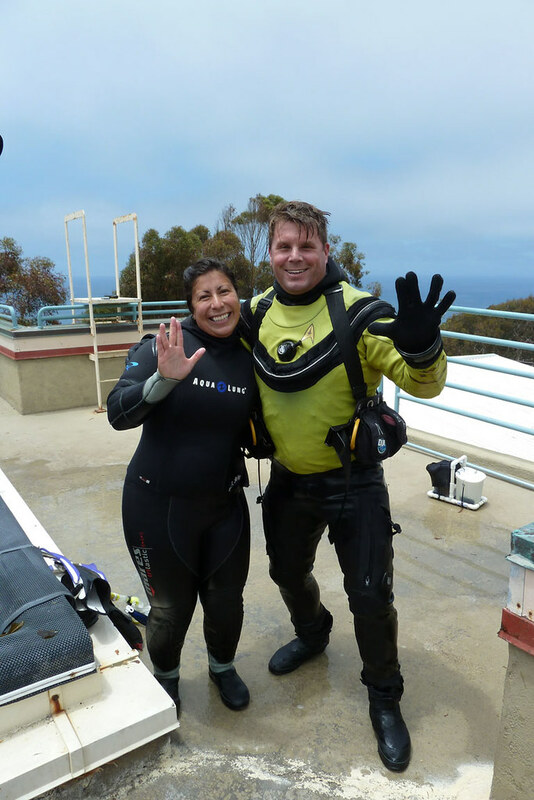 DESCRIPTION: After our early morning dive at the La Jolla Shores, we continued the Comic-Con kick-off celebration at the Birch Aquarium at Scripps where Rod Roddenberry was the guest diver for a special Comic-Con Kelp Tank Dive Show. 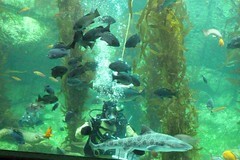 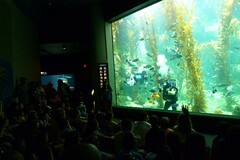 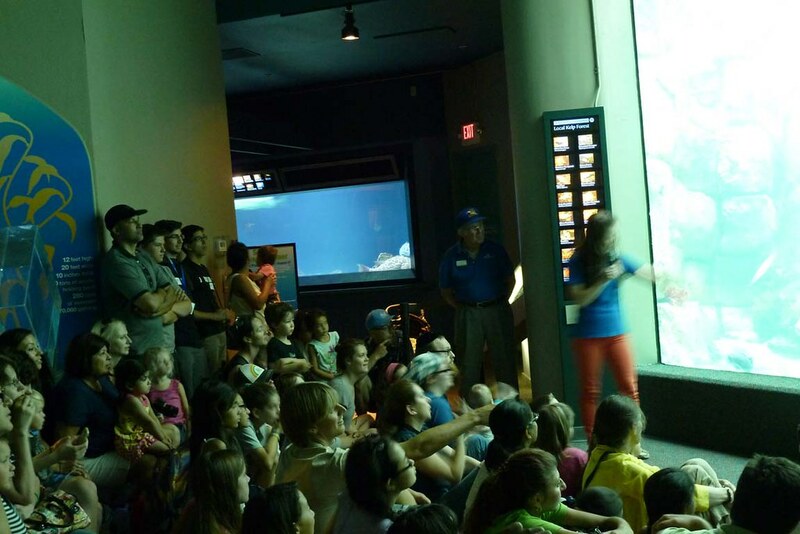 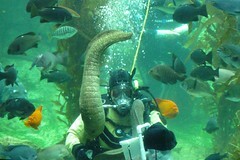 Rod interacted with Aquarium visitors during the presentation in the Aquarium’s two-story, 70,000 gallon kelp forest tank to feed the fish and sharks. 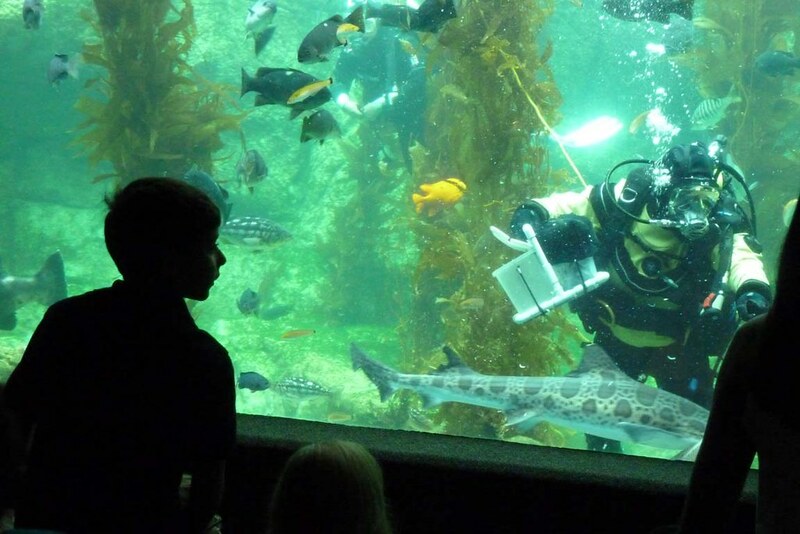 Before the dive show Rod and Shark Researcher Dr. Andy Nosal talked to guests about La Jolla’s legendary leopard sharks, the latest in shark research, why these sharks are critical to the ocean’s health and conservation efforts.